Our product range includes a wide range of vacuum pump oils. 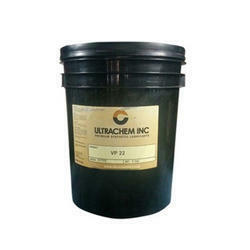 Applications: Ultrachem Vacuum Pump lubricants have been designed to meet the operating characteristics of most vacuum pumps. These oils are based on several different base oil and pumps applications for example: Liquid Ring, Reciprocating and Rotary Screw. All of the lubricants are enhanced with a superior additive system which includes anti-oxidation, anti-wear, corrosion protections and pour point depressants.